Leveraging her global travels, Marion will take us on a brief visual history of gardens, focusing on architectural influences, including shapes for garden beds, pergolas and other garden structures, water features, garden art and containers. This will be an opportunity to see and learn about a variety of inspirational ideas from around the world. Marion Jarvie is a passionate plantswoman who has been gardening in Thornhill for more than forty years. Several weekends annually, she opens her beautiful garden to the public to showcase plants in spring, summer and autumn. 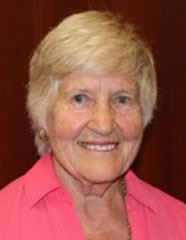 An enthusiastic educator, Marion teaches courses on gardening subjects at the Toronto Botanical Garden, and she has lectured all over North America and the United Kingdom. For more information about Marion, including the dates that her garden will be open in 2018, visit www.MarionJarvie.ca.